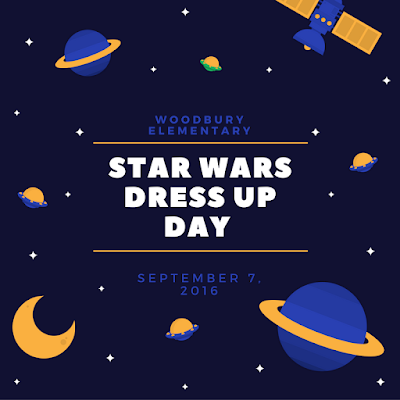 Thanks to the support of our community, we have over 650 PTA memberships so far and our kids have earned a Star Wars Dress-Up Day! 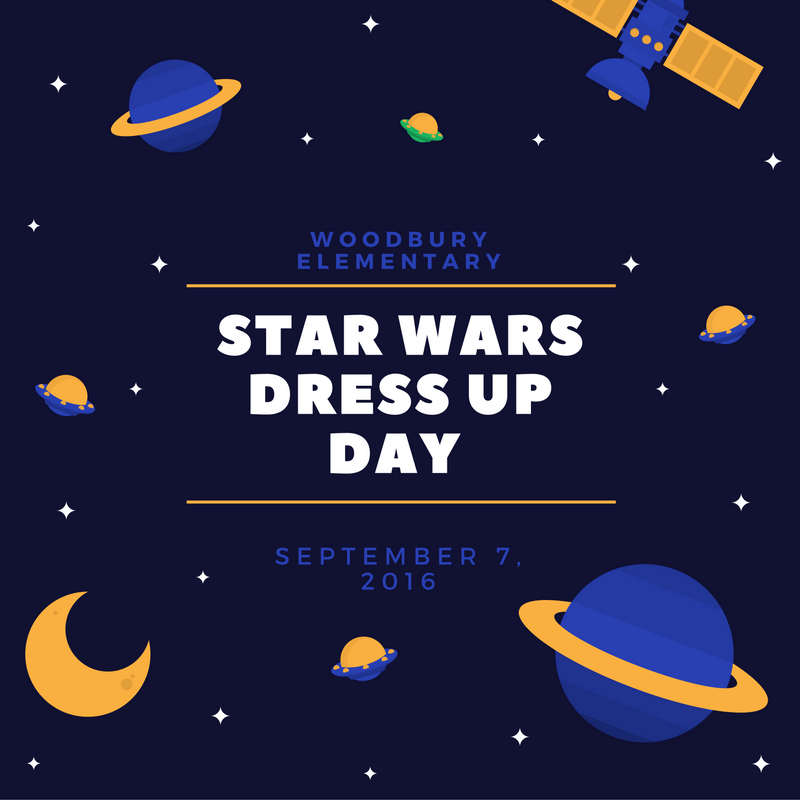 Star Wars Dress-Up Day will be held on Wednesday, September 7th. Kids and adults can choose to dress up in anything Star Wars! Costumes, PJs, t-shirts or just do some fun Leia buns in your hair! If you don't have anything Star Wars, no problem! All students will receive a Jedi Mighty the Mustang tattoo on Tuesday from their teacher! So enjoy and have fun. We will see everyone at the Round-up in your Star Wars gear! Children come to school dressed in their costume. We will not allow costume changes to take place at school. Children should wear a costume that can be comfortably worn throughout the entire day. Be sure to have your children wear proper clothes and underclothes underneath their costume just in case they find their costume to be too hot or uncomfortable and wish to take it off before the day is over. Children may not wear masks. Children may not wear make-up to school. Children should not bring any object that they will need to hold in their hands. Of special emphasis is our State Education Code that states children may not bring any toy weapons to school of any sort at any time. Children should be discouraged from wearing any costume material that could be easily damaged.